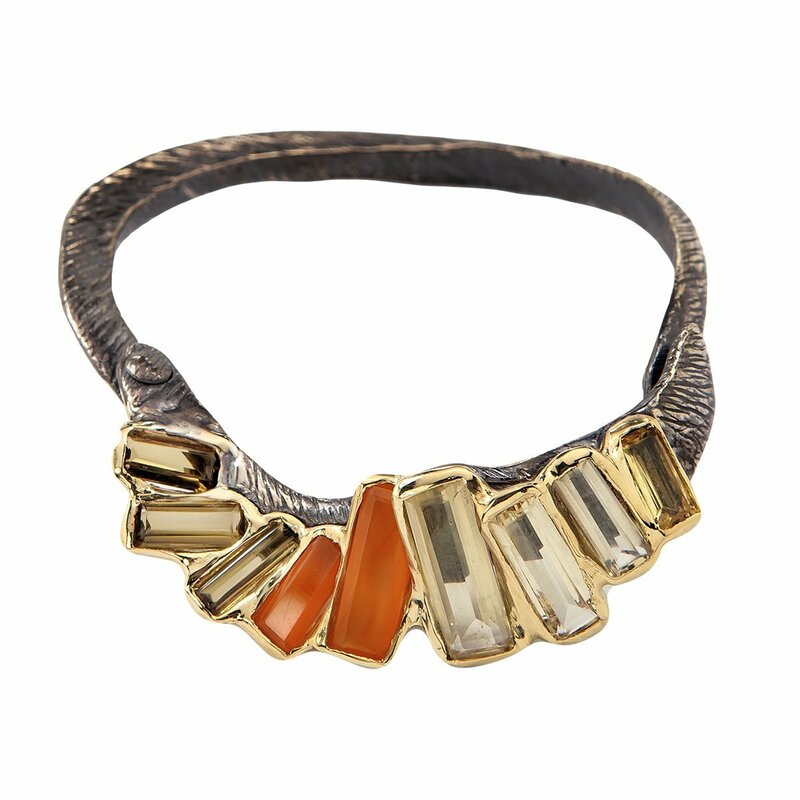 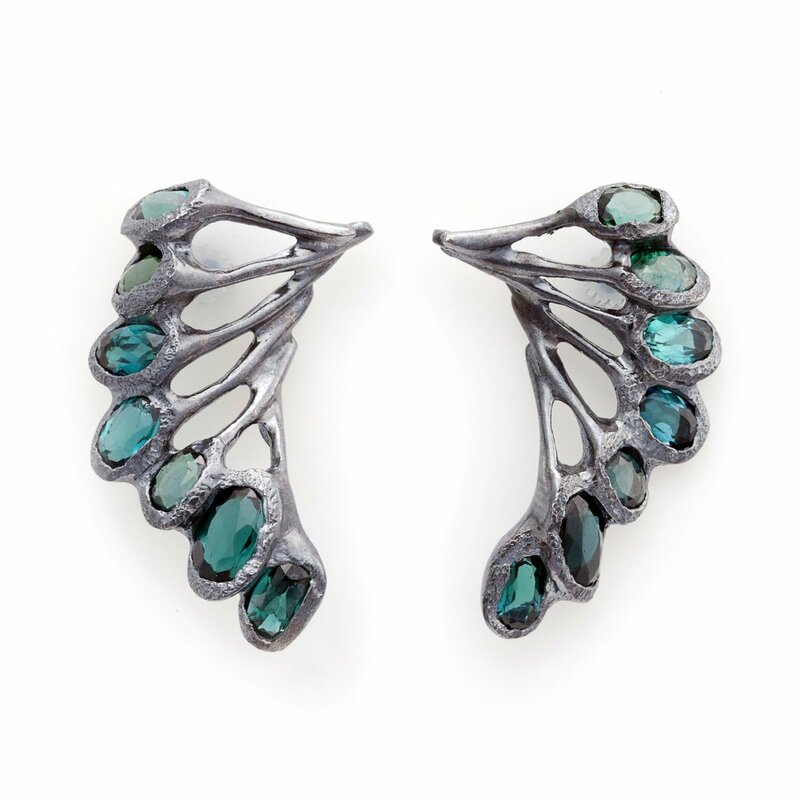 Reflecting nature with its rhythm and form, Brazilian art inspires Headdresses. 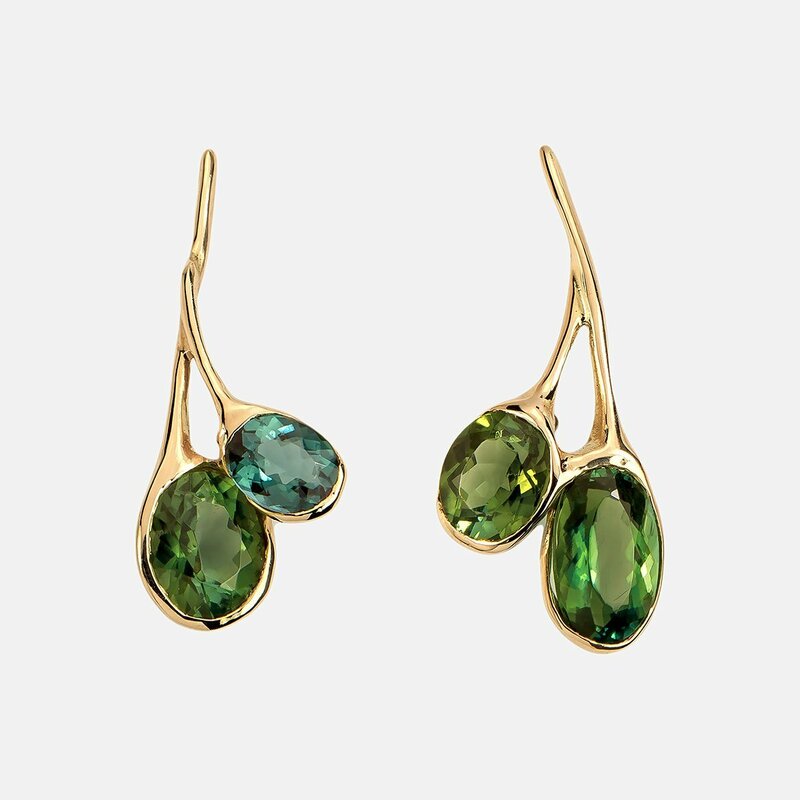 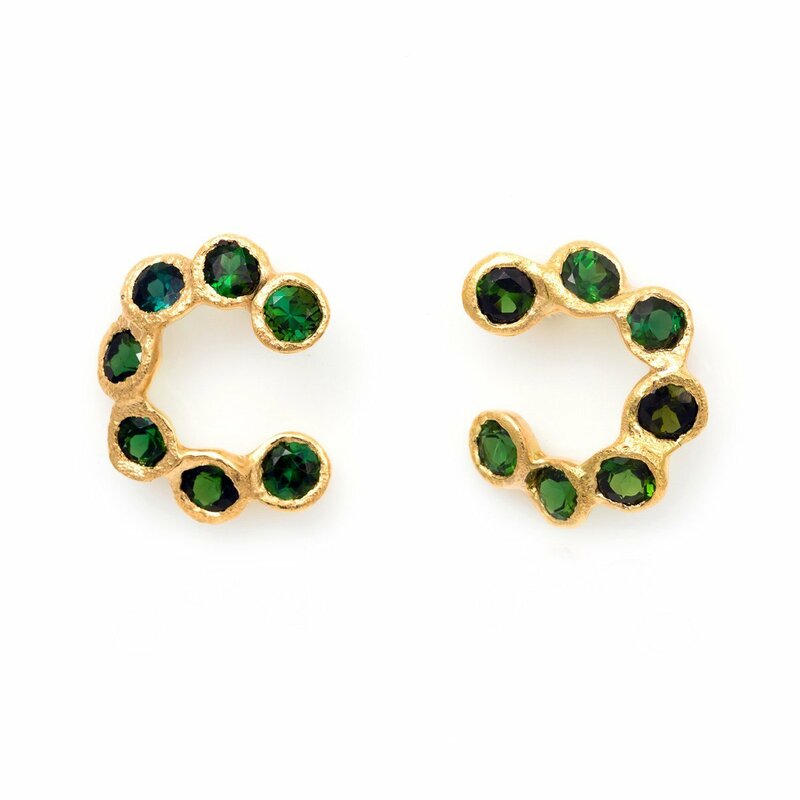 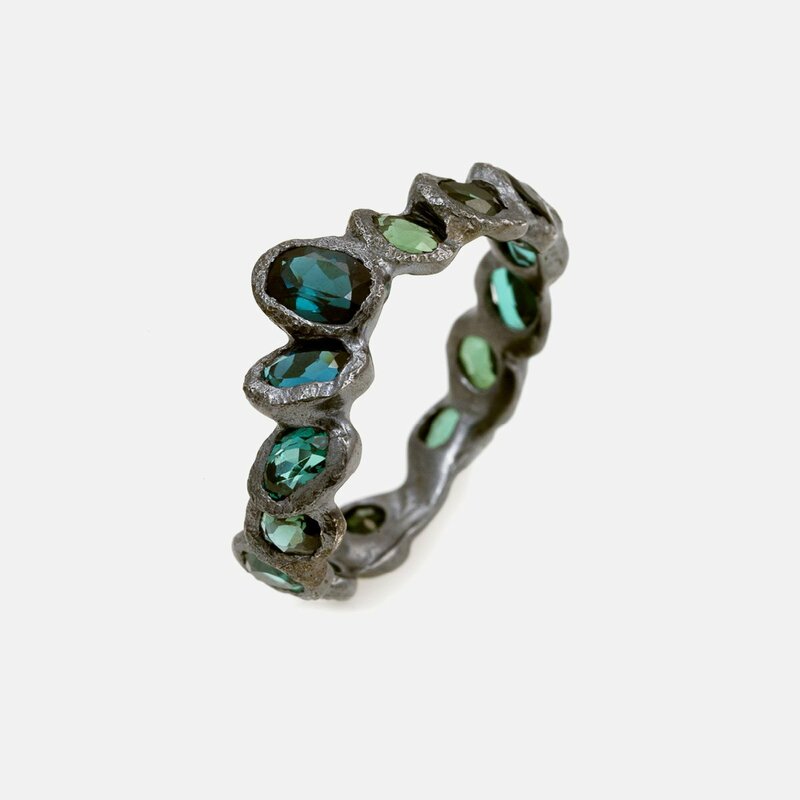 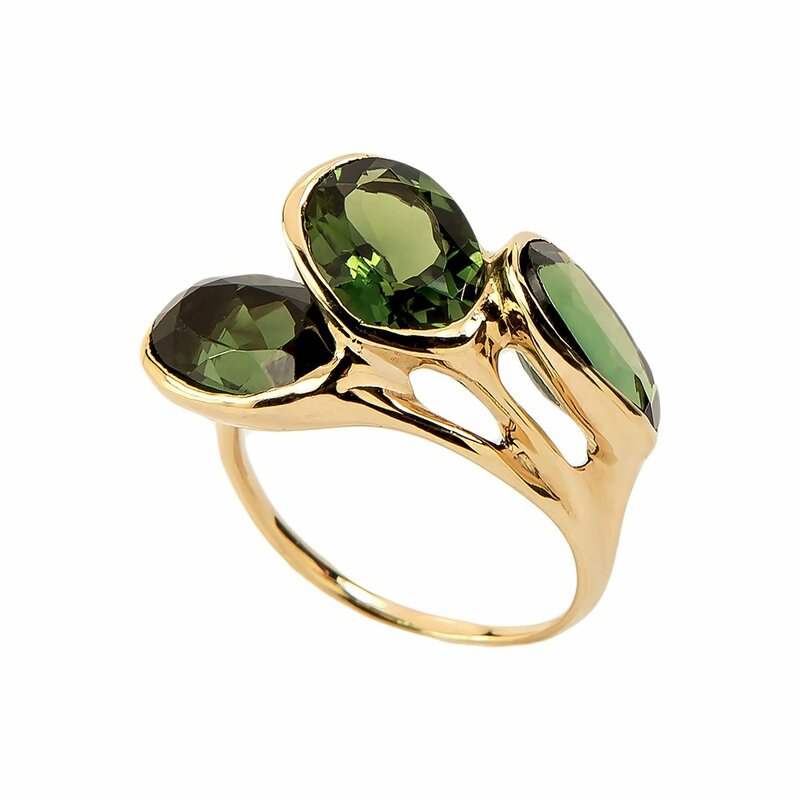 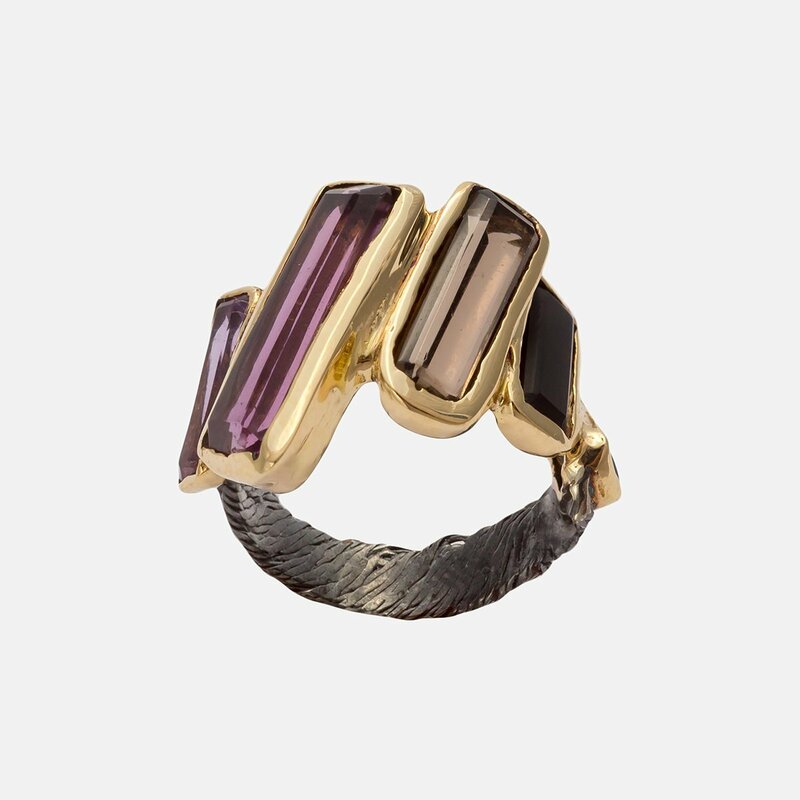 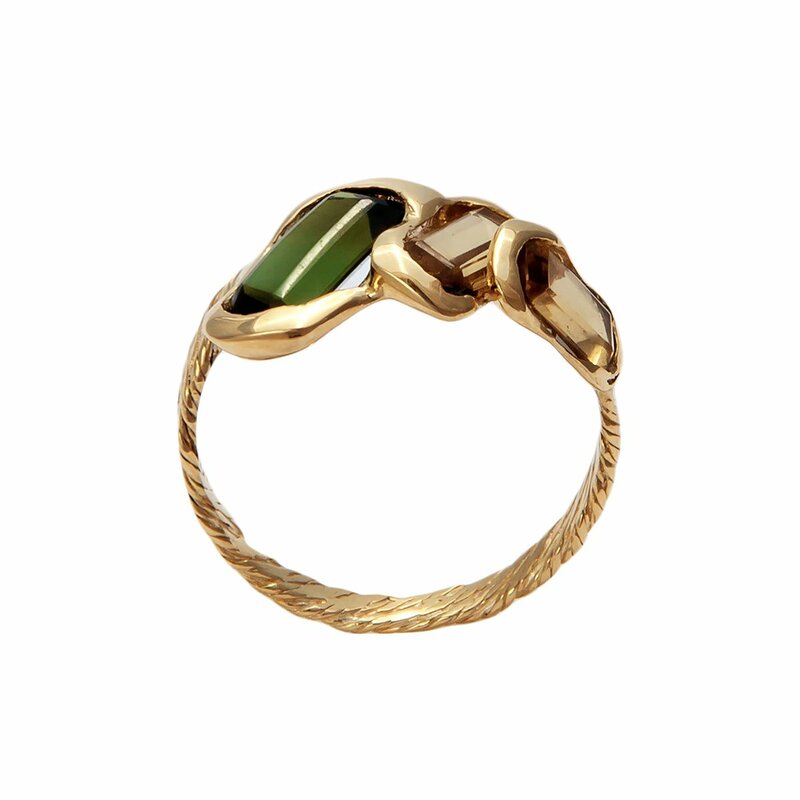 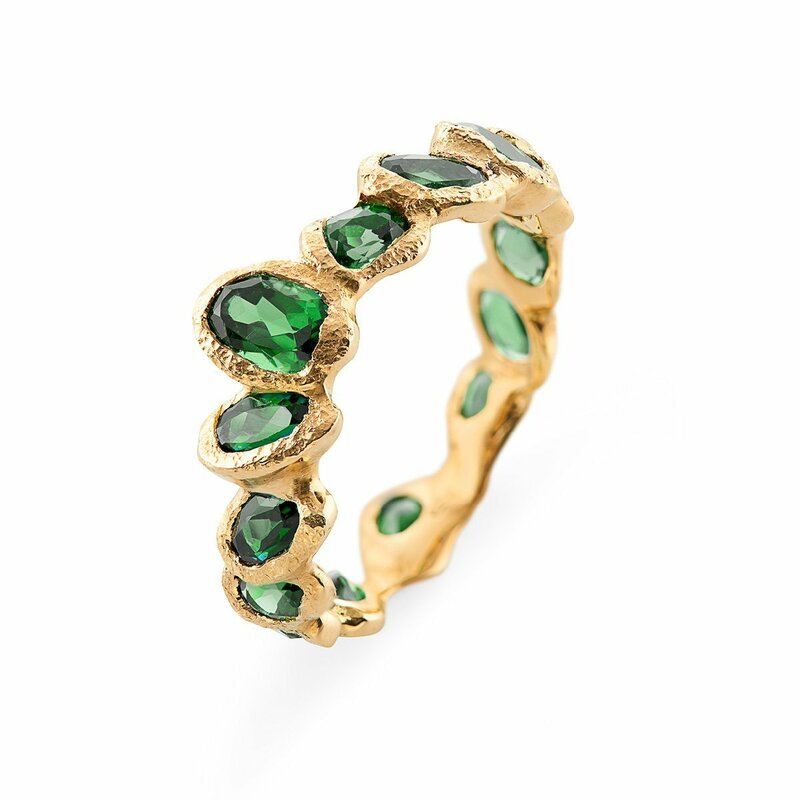 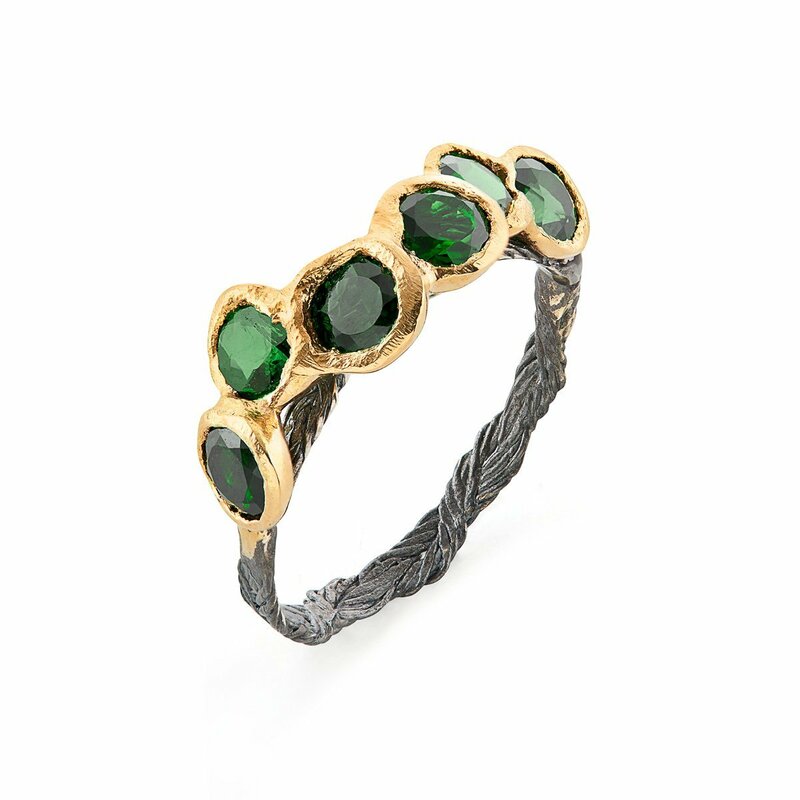 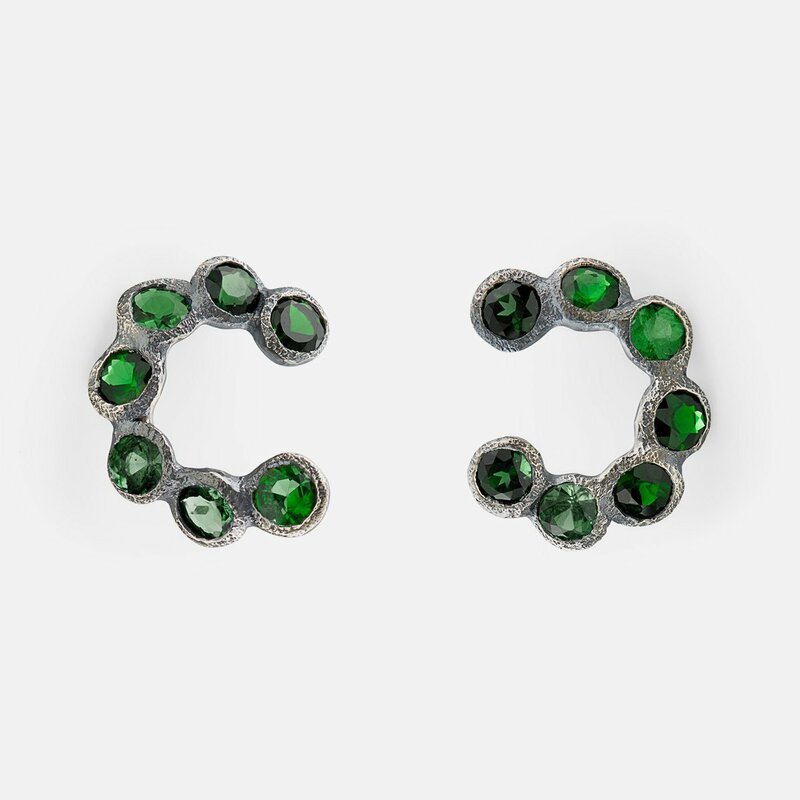 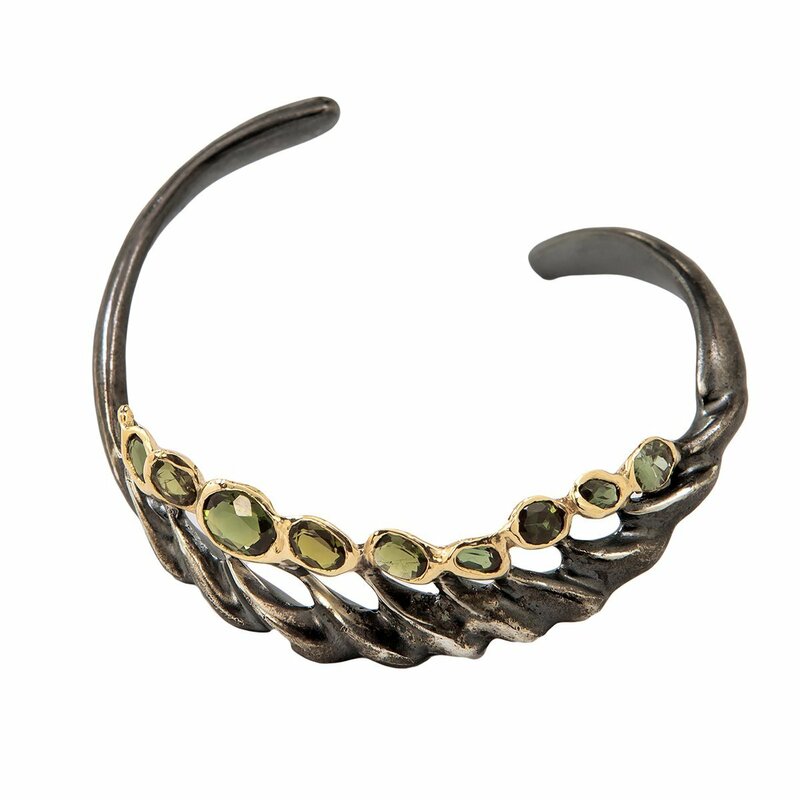 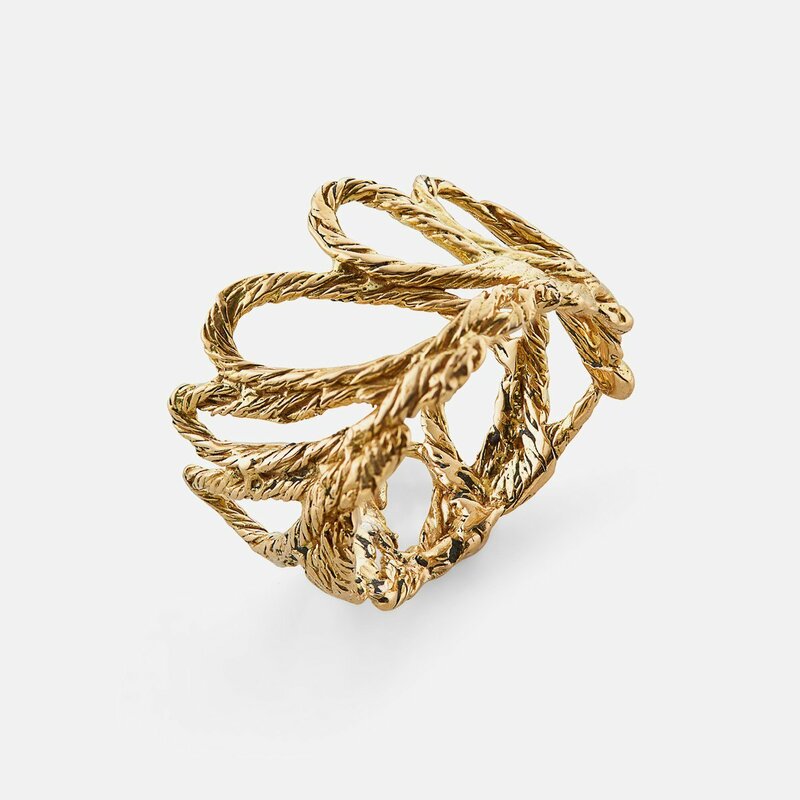 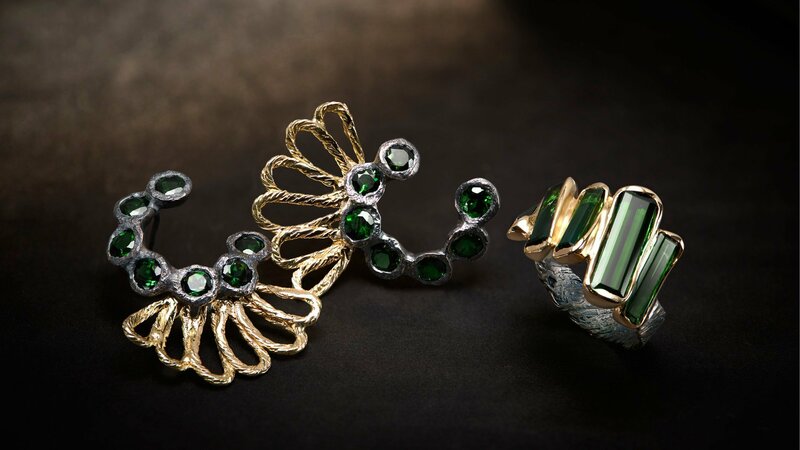 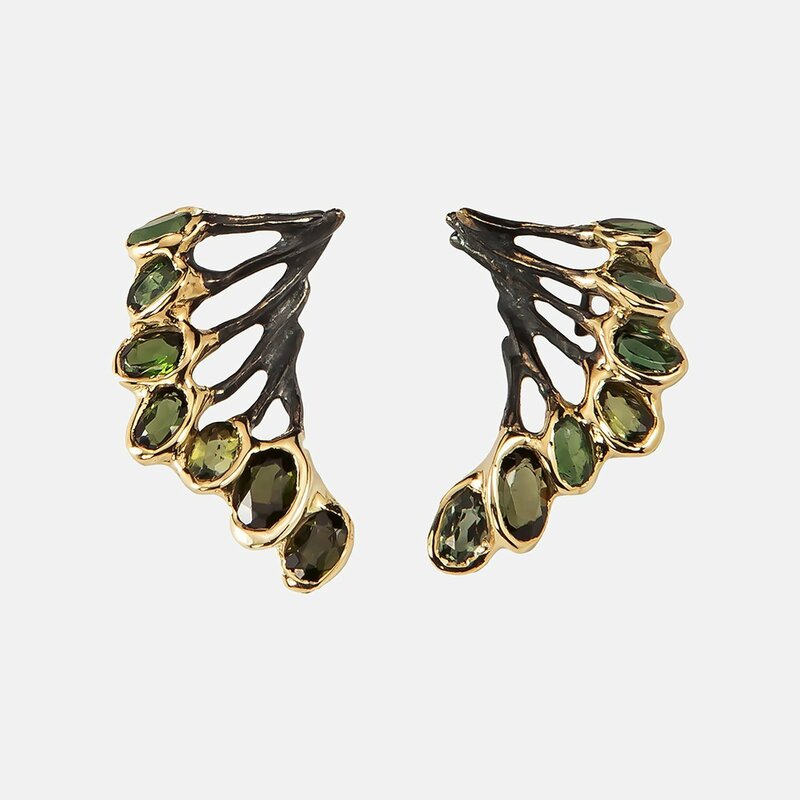 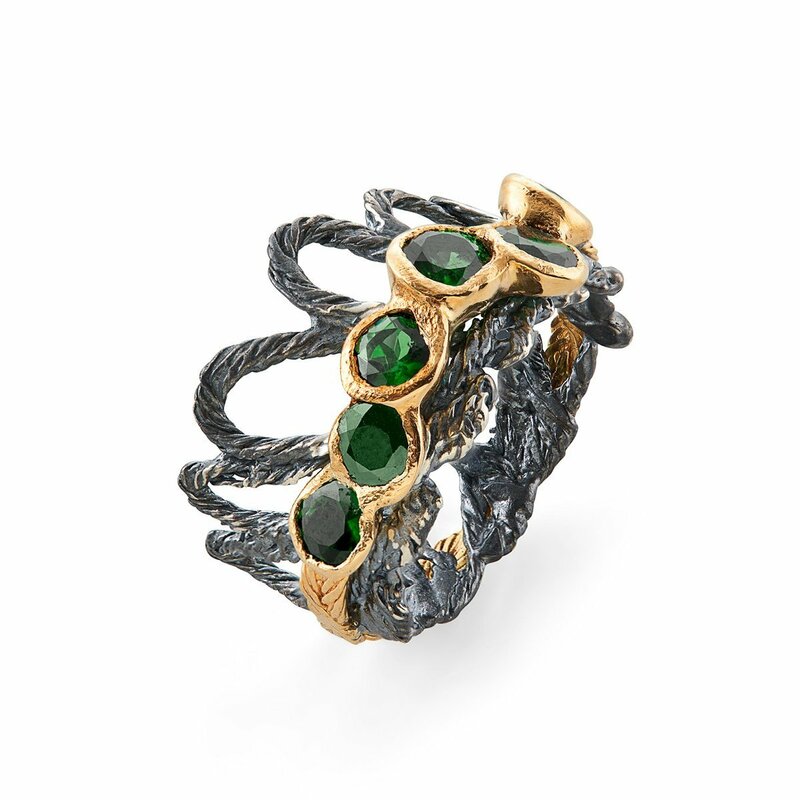 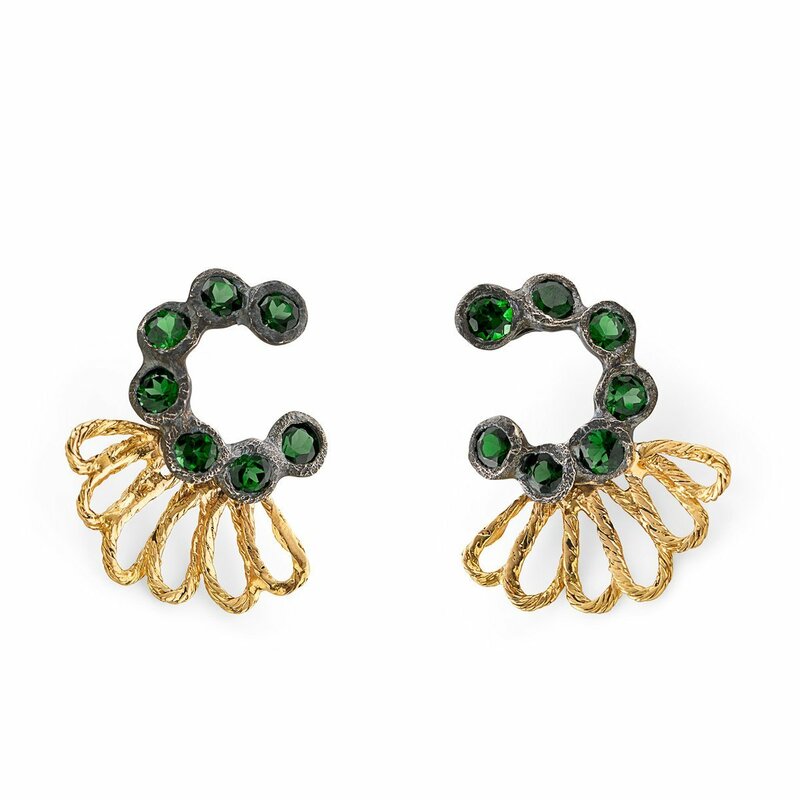 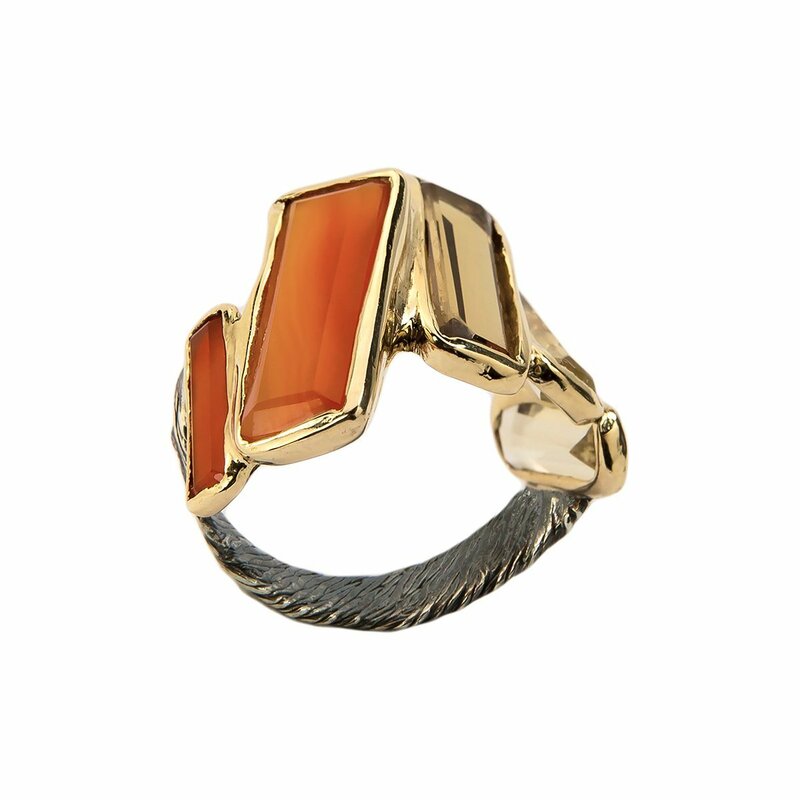 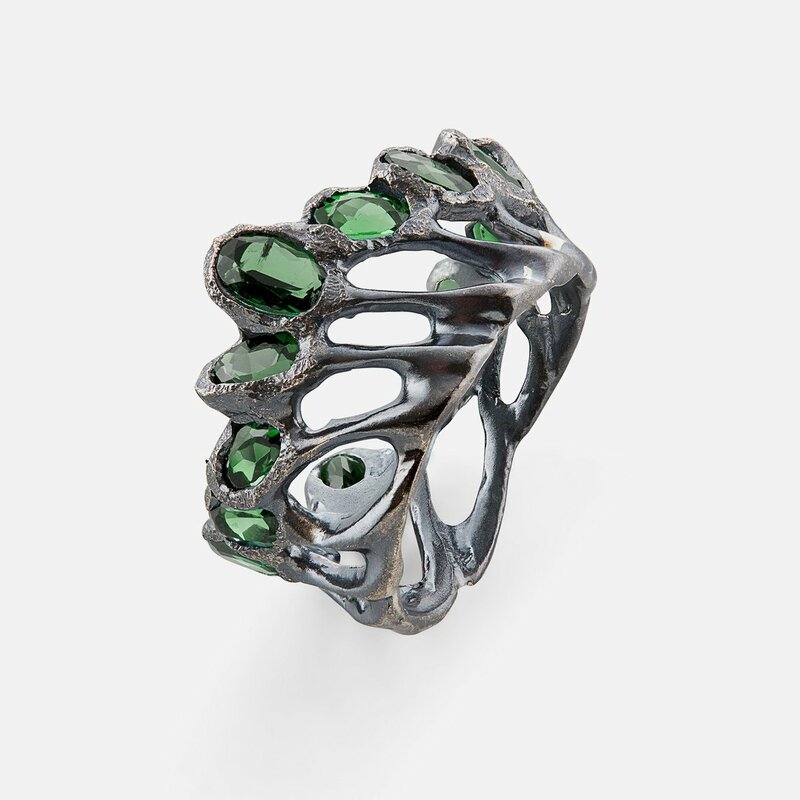 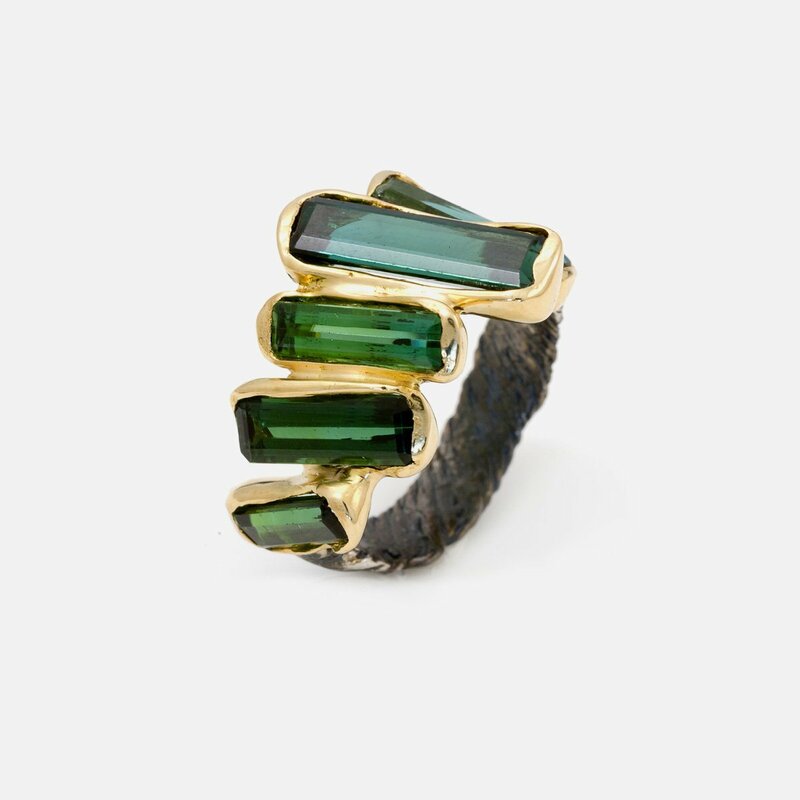 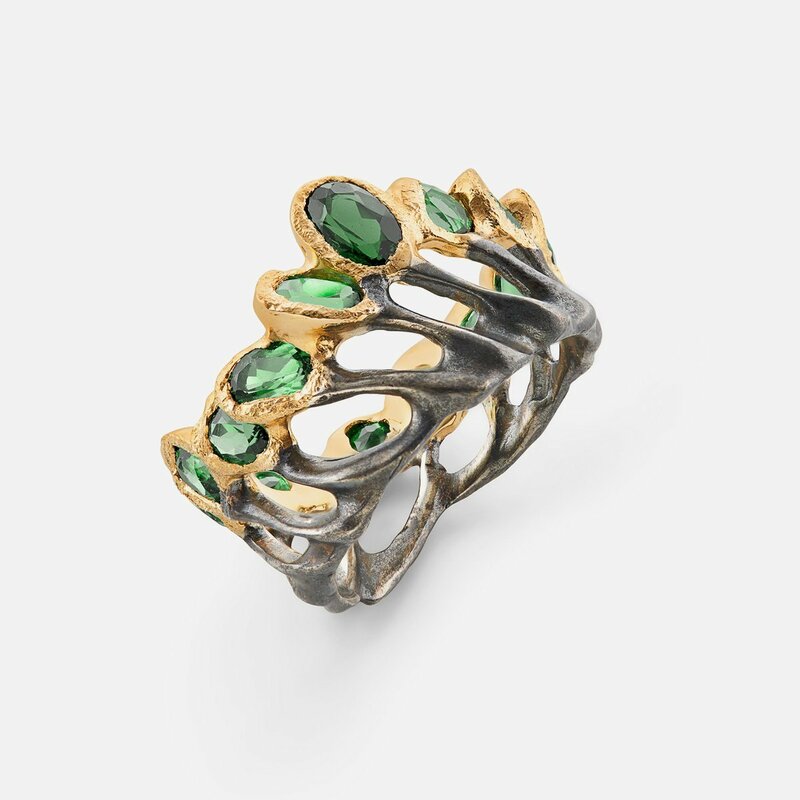 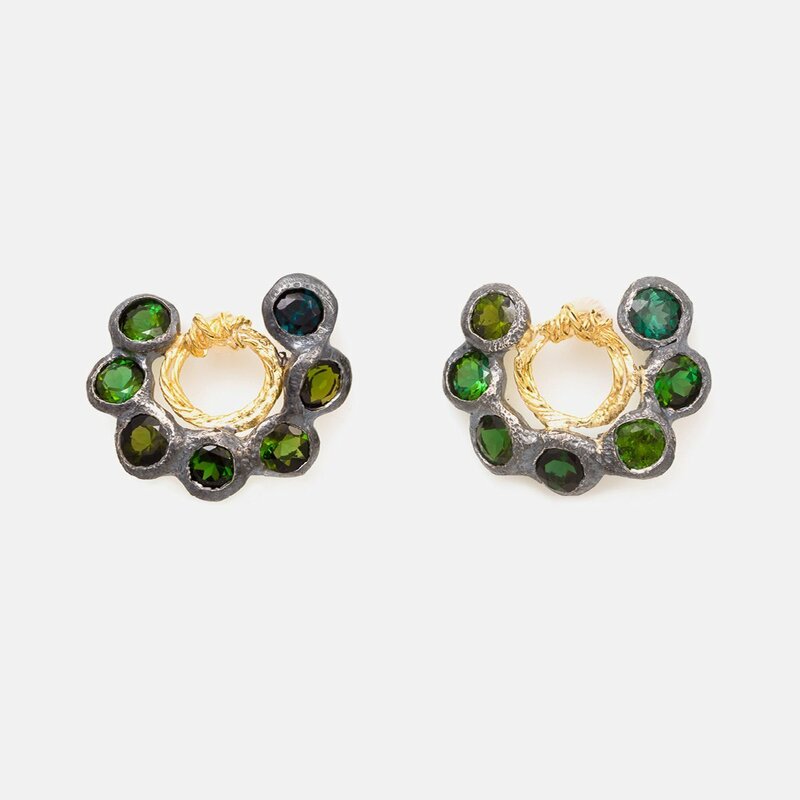 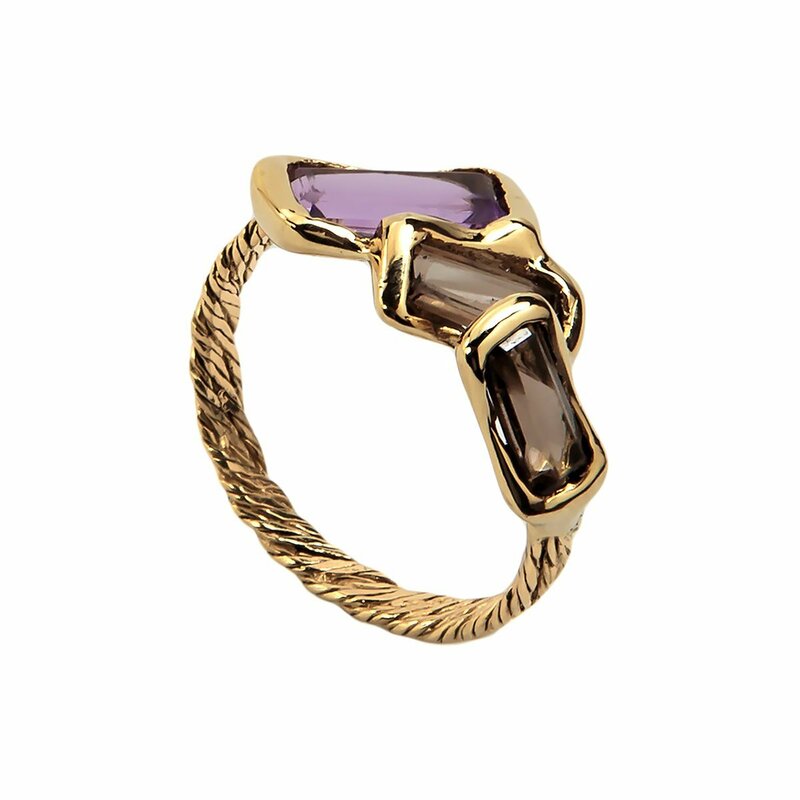 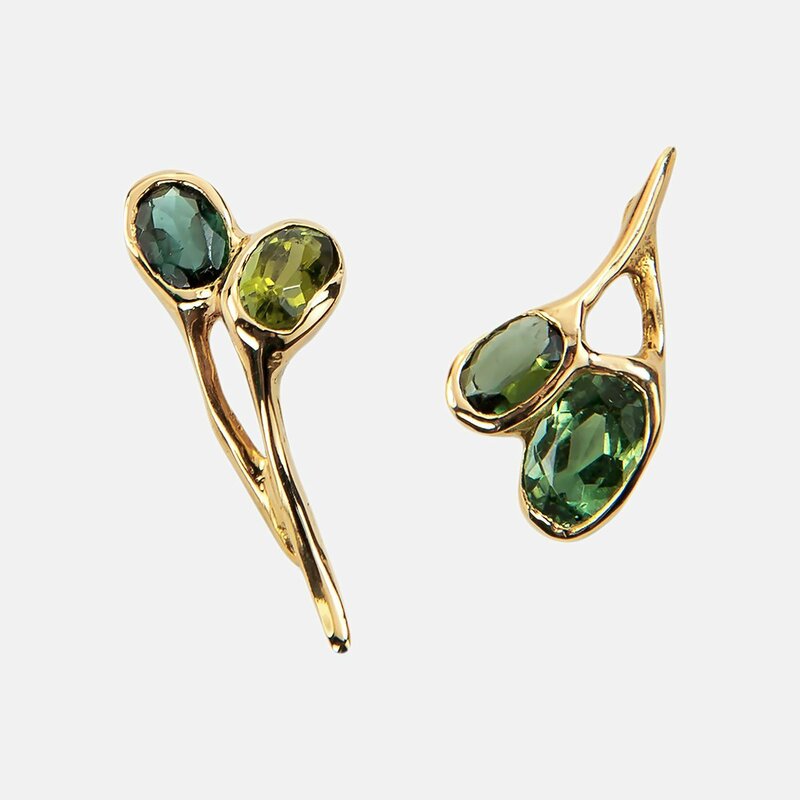 Diving into a cultural expression infused with Brazilianness, the artist sculpts bold jewelry that highlights the richness of texture and forms in gold and silver, celebrating the gradient of colorful tourmalines in blue and green tones. 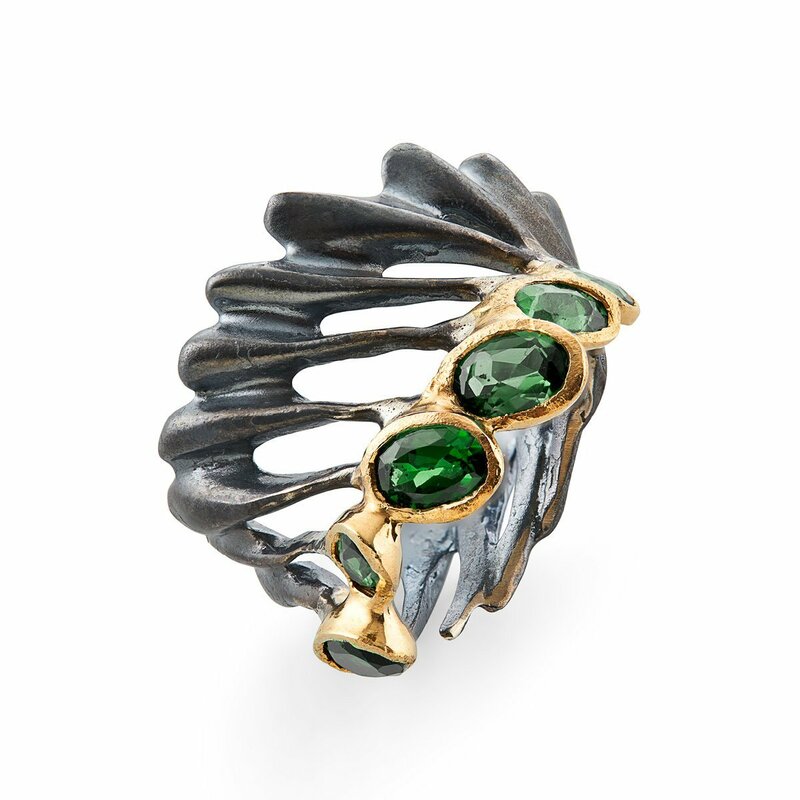 Authenticity and exuberance are intuitively transmitted through the pieces, each one moving through ever-changing, unexpected paths. 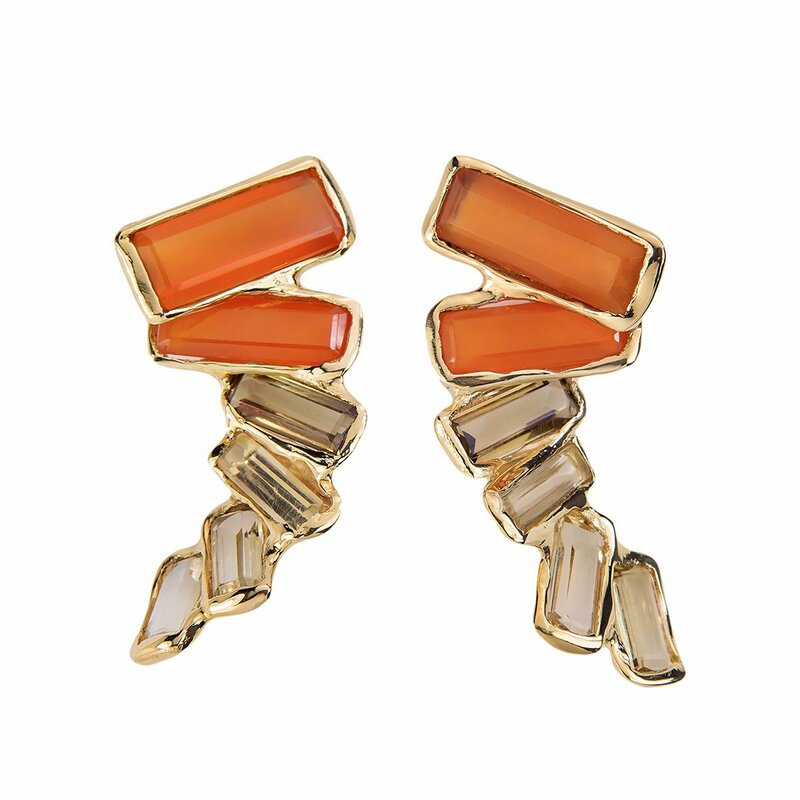 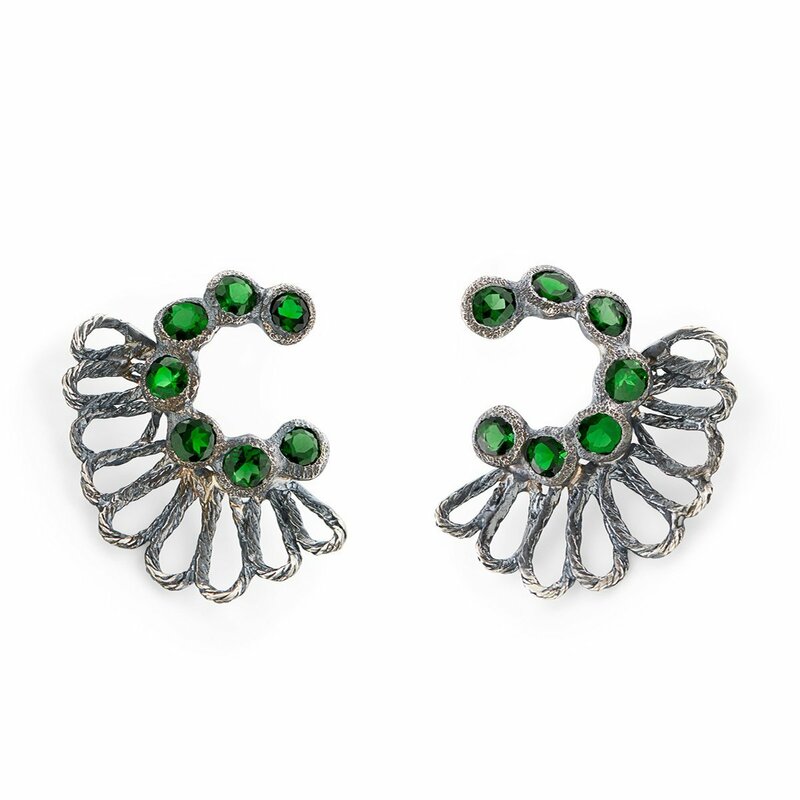 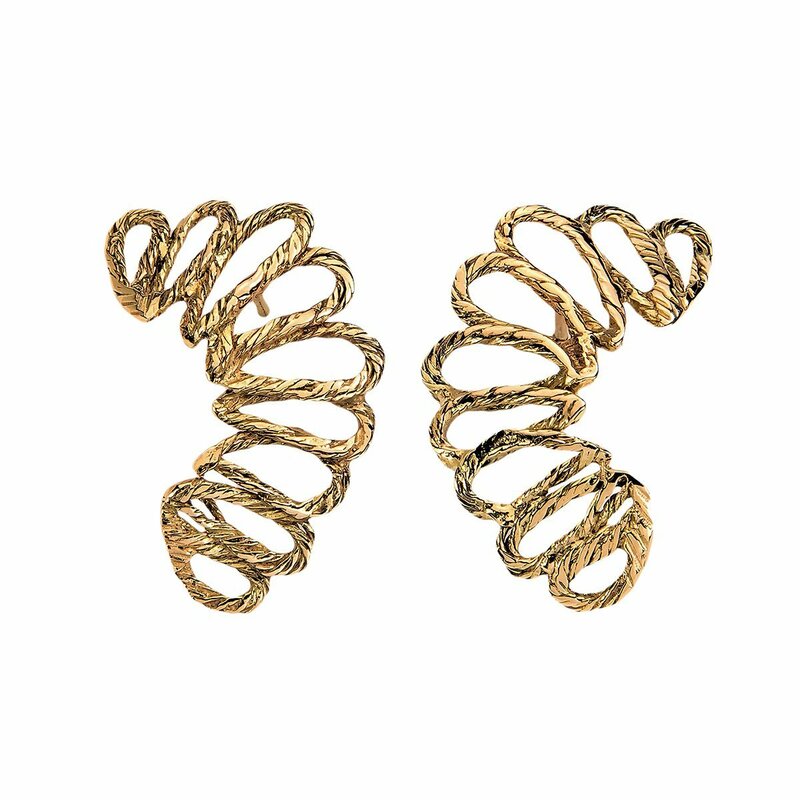 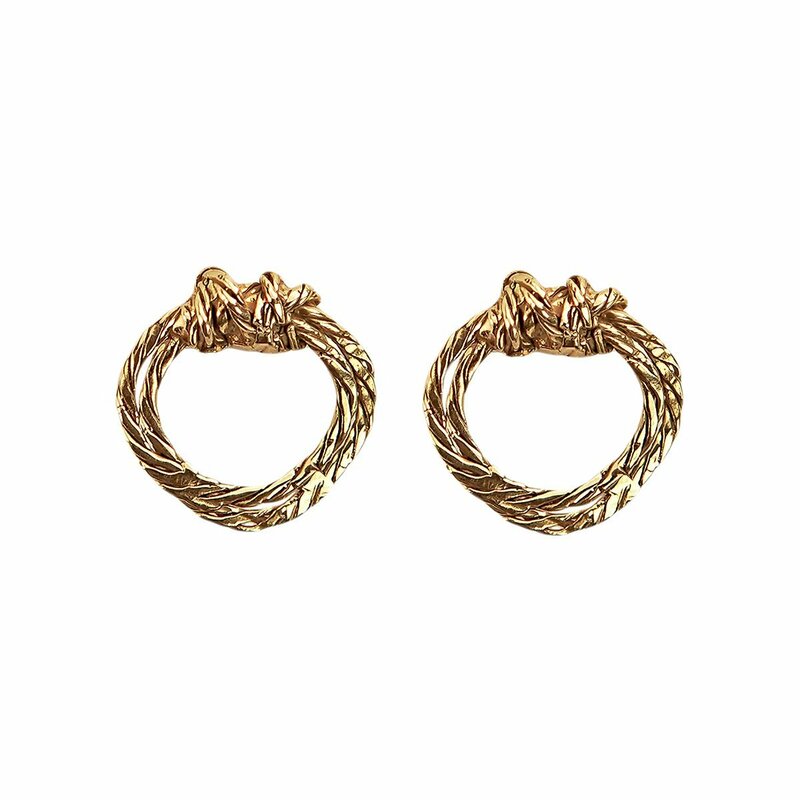 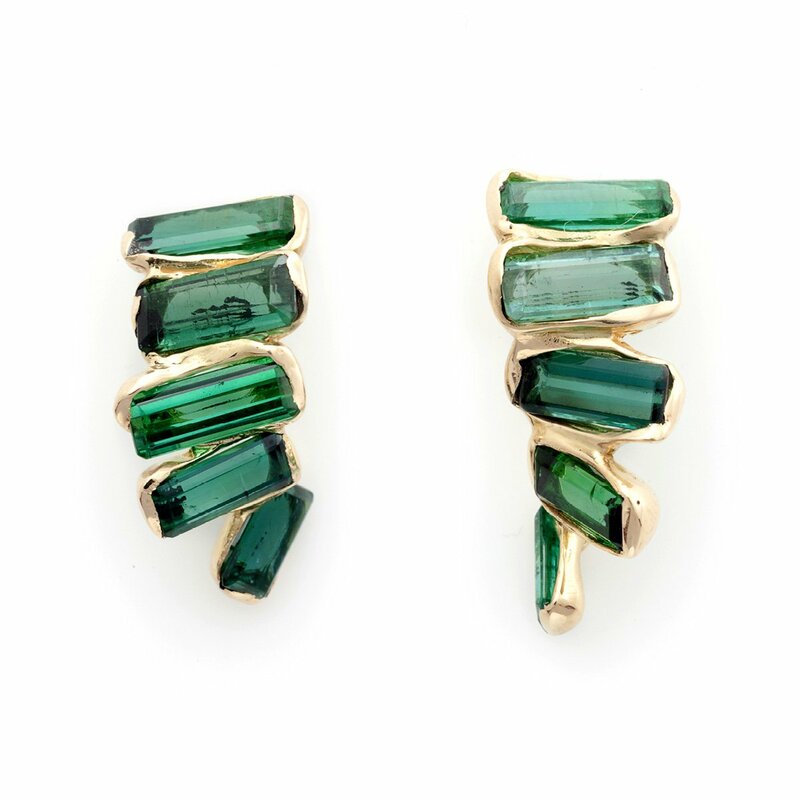 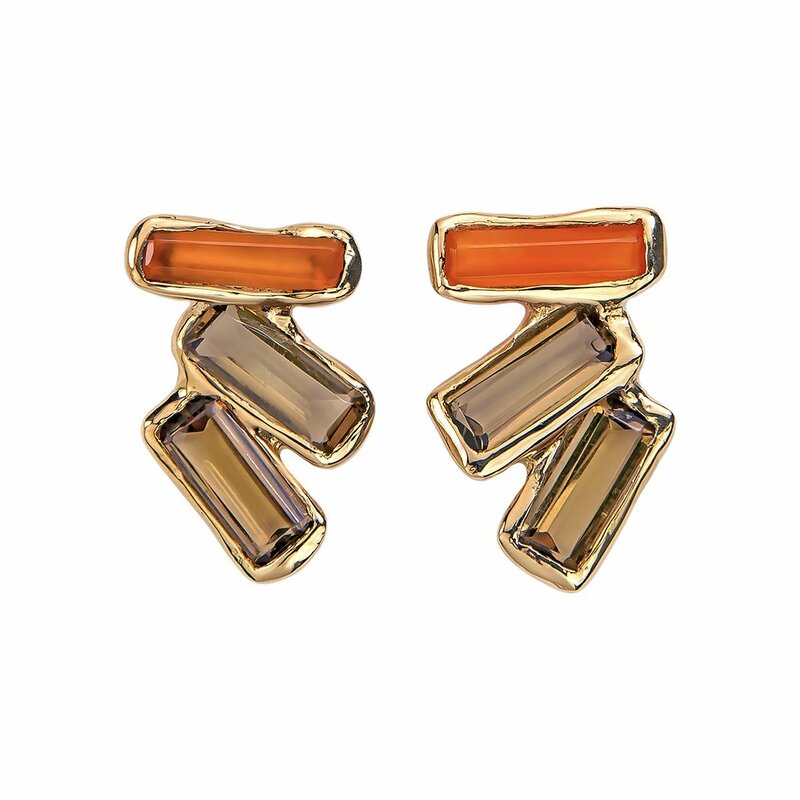 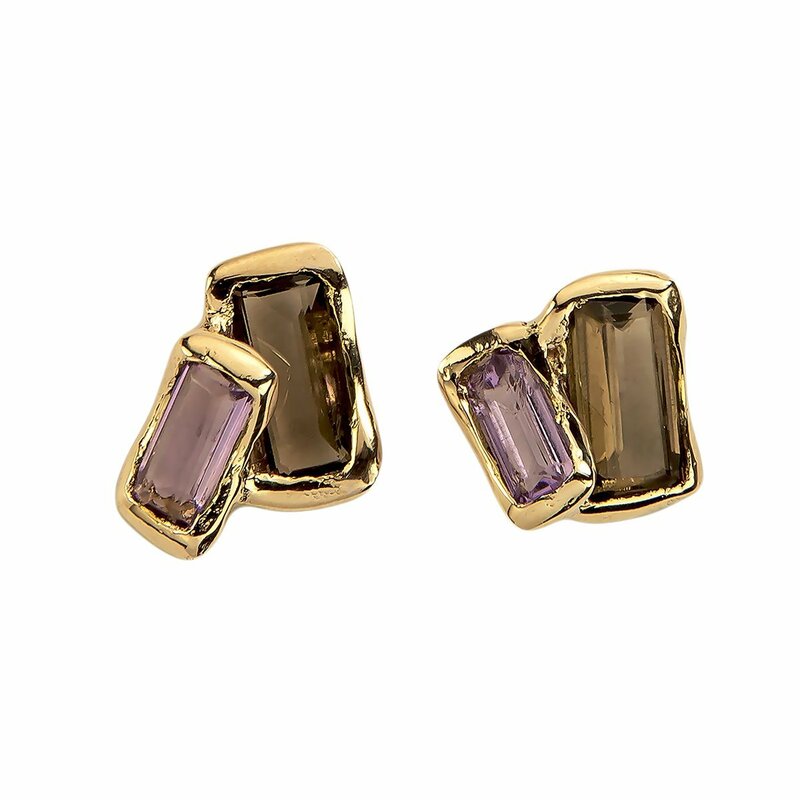 The earrings are the collection’s highlight, with unique notions of form and scale.